Lisbon (AFP) - Portugal's centre-right leader Pedro Passos Coelho on Monday savoured an election victory that came despite four difficult years of austerity and many predictions of defeat, but the premier faces turbulence in the months ahead, commentators said. Passos Coelho's "Portugal Ahead" coalition notched up 38.6 percent of the vote, enough for it to plan its return to office -- a rare feat by any belt-tightening government in Europe these days. But there remains substantial opposition to austerity, and cobbling together a viable government will be tough. Voters "gambled on safety, but may find themselves with a government of limited lifespan," the daily Diario Economico said. "Voters sent out a mixed message: they want to stay in the euro but at the same time they expressed a rejection of austerity," said Marina Costa Lobo, a political analyst at the University of Lisbon. "The stability of the government will depend on the coalition's ability to make concessions," she told AFP. 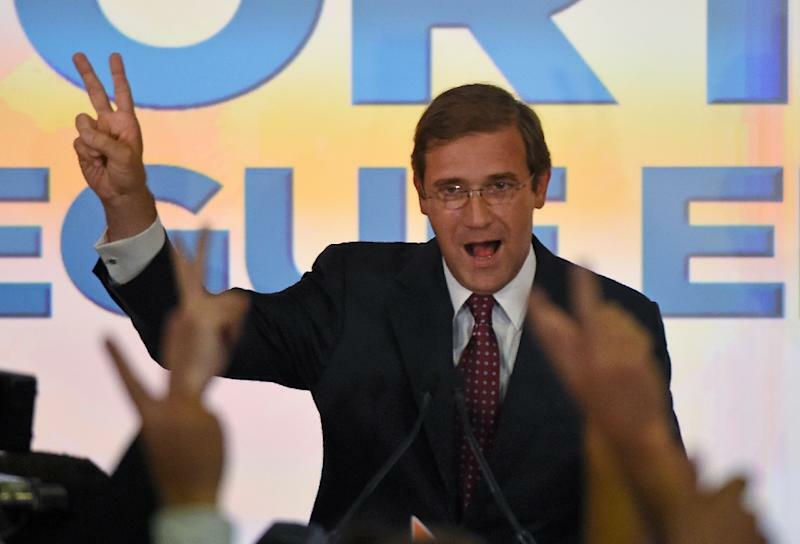 Portugal Ahead, comprising the prime minister's Social Democrats and the conservative Popular Party, campaigned on Passos Coelho's record of steering the country back to fragile growth after one of the worst crises in recent history. Four seats to be decided by votes from Portuguese expatriates will be determined by October 14. But the alliance is certain to fall short of the 116 seats needed for outright control of the 230-seat legislature. That means that Passos Coelho, a 51-year-old economist, will have to get the support, or at least the acquiescence, of other parties. The second-placed party, the anti-austerity Socialists, picked up 32.4 percent of the vote, retaining its status as the main opposition group in parliament. 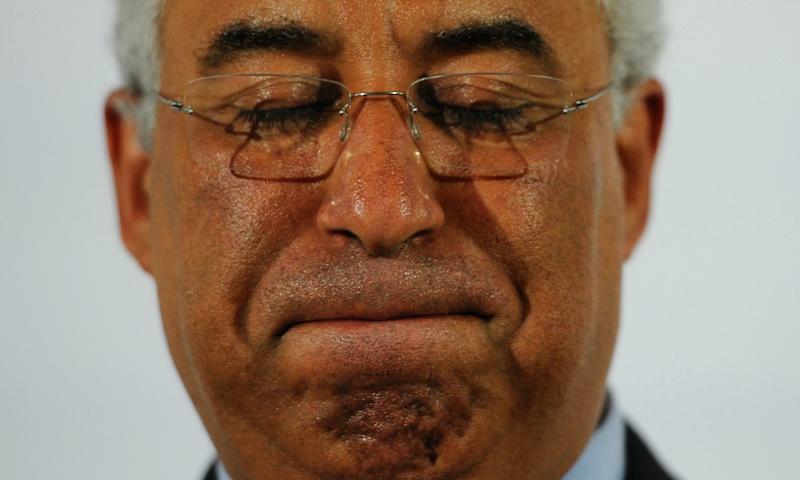 Under the Portuguese constitution, a newly elected parliament cannot be dissolved before six months. On the campaign trail, Passos Coelho had some harsh things to say about the Socialists, saying that if they returned to power, all the good that had come from the country's sacrifices would be undone. But on election night itself -- as his victory became clear -- the premier offered an olive branch, saying he and the Socialists "shared a commitment to the European Union and the single currency," the euro. In this light, he was willing to forge "the necessary agreements to implementing major reforms." "The most important task," said Passos Coelho, is to adopt a 2016 budget that "ensures control over public spending and debt reduction." After campaigning on a promise of easing some of the painful reforms in western Europe's poorest country, Socialist leader Antonio Costa on Sunday admitted the party "did not achieve its stated objectives". He too made an election-night hint at compromise, saying he would still fight to "end the chapter of austerity" but would not threaten Portugal's commitments towards its creditors. The country emerged in May 2014 from a three-year 78-billion-euro ($88-billion) bailout from the European Union and the International Monetary Fund (IMF). The rescue -- sought by Passos Coelho's Socialist predecessor, Jose Socrates -- entailed tough spending cuts and the biggest tax hikes in living memory. Joblessness peaked at 17.5 percent of the workforce in 2013 before falling to 12 percent today, but the recovery has still to be felt on the streets. One in five Portuguese live below the poverty line with an annual income of less than 5,000 euros. A combination of unemployment and poor prospects has sent waves of young Portuguese abroad in search of a better life. Passos Costa's room for manoeuvre is further limited by the anti-austerity parties and a huge chunk of the electorate that seems indifferent -- or at least has not endorsed -- his policies. In an electorate of more than 9.6 billion, a record 43.1 percent did not vote. The Left Bloc, the sister party of Greece's anti-austerity Syriza, gained 10.2 percent of the vote, its best-ever score since its founding in 1999. For the first time, it outstripped the Communist Party, which picked up 8.3 percent of the vote -- its highest in 15 years. The head of the Eurogroup of eurozone finance ministers, Jeroen Dijsselbloem, welcomed the governing coalition's election win but sounded a note of caution. "It's good news that a government can still win elections after tough measures but the outcome is a little ambiguous," he said in Brussels. 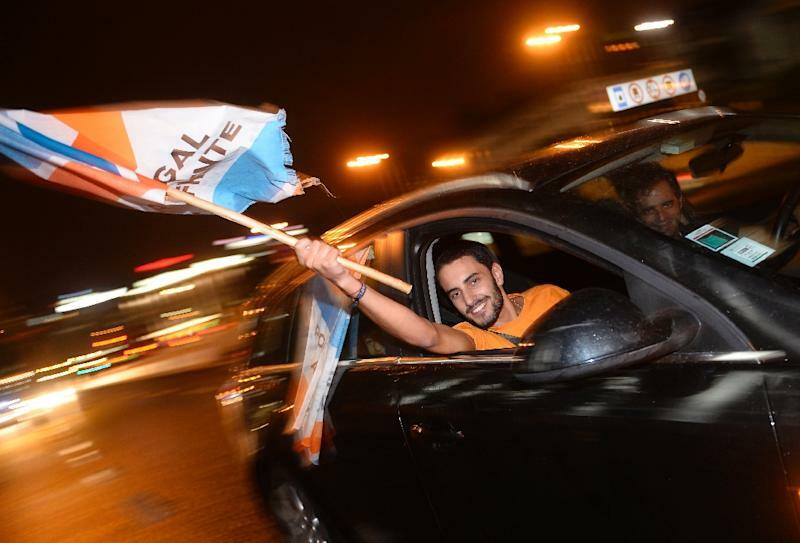 On the streets of Lisbon, locals were wary about the future. "I hope the Socialists will be reasonable and the country won't become ungovernable but I don't think the government will last four years," said Manuel Fernandes, a 49-year-old waiter.